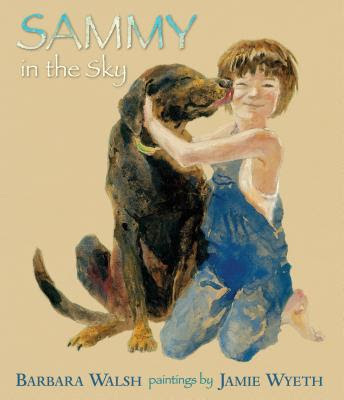 sammy in the sky is honest and healing in it's treatment of what the loss of a beloved friend means to children. it's the right book at the right time for our family as we anticipate the departure of our sweet girl casey sometime in the not so distant future. artist illustrator jamie wyeth, son of renowned american master andrew wyeth, matches the mood of barbara walsh's story well with his watercolors. i especially like the obvious nod to mary badham's scout finch wyeth gives the narrator. there's something comforting about having scout along on another journey through the terrifying truths that pepper the adult world. little scout's difficult yet thoughtful path toward understanding the incomprehensible will break your heart all over again.